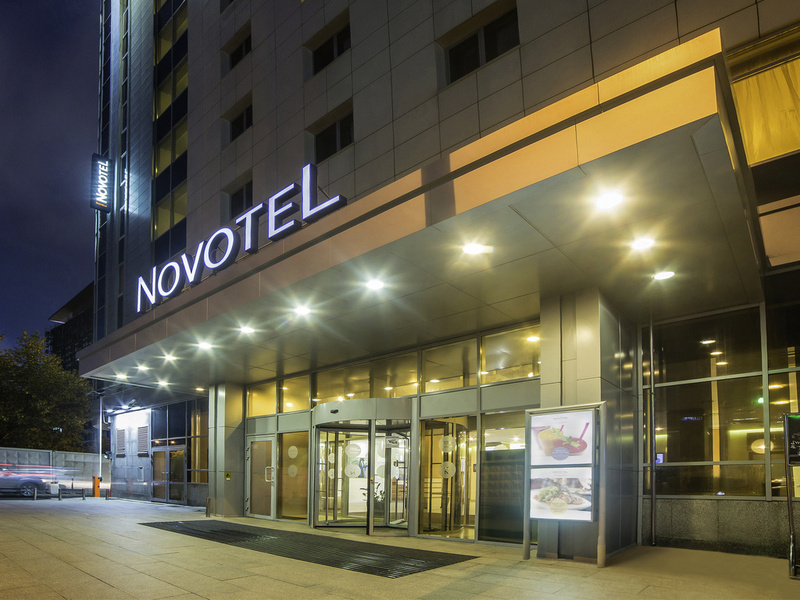 The Novotel Yekaterinburg Centre hotel is located in the quiet center of Yekaterinburg, near to local business and entertainment facilities, cultural attractions and museums. The rooms are decorated in a contemporary style and equipped with climate control, free WIFI, and a TV. Features free underground and overground parking, plus 5 conference halls for business guests and fitness center and hammam for leisure guests. The restaurant serves traditional and modern dishes from Russia and Europe. The comfortable rooms at the Novotel Yekaterinburg are decorated in a contemporary style and equipped with a climate control system, WIFI and TV. Available to guests: fitness center with hammam, above-ground and underground parking. The restaurant menu aims to delight guests from all corners of the globe whilst retaining the distinct characteristics of traditional Russian and Ural cuisines. It is the ideal place for business or personal events and celebrations. Hotel staff was very kind and equipment at hotel was good. The center of city is very near and good acess to there by walk. Nearby there were supermarket also. One thing I hope more is the bathtub at the room. It was colder than my home town and I think it would be much better to go into warm water at bath tub after walking at outside. Breakfast was good but it would be much better to drink tomato juice in the morning. Staff is friendly, helpful and smile. For me, there is no better value than this. WiFi connection should be better, but the rest was really good. This is my third time at the Novotel. Absolutely no surprises. Everything was expectation. Courteous staff, good food, clean rooms, centrally located. My first choice when in Yekaterinburg. I'm frequent visitor of this hotels, and usually stay in it 4-6 times throughout the year. I'm extremely satisfied with the effort which the team is making to make sure each of my stays are great. Thank you, we enjoyed our stay in Novotel Yekaterinburg Centre. The room was cozy and well-equipped, no concerns with cleaning. Receptionists were always friendly and ready to help. The restaurant was a little disappointment: the breakfast menu was the same every day and not extensive. When we stayed at dinner in the restaurant, we were unpleasantly amazed the fact that bottled beer and vine were served behind the bar, not at our table, so we couldn't see the bottles and ensure if it was the same vine and beer we had ordered. Very impressive, I enjoyed my stay! I loved staying with Novotel Yekaterinburg and will definitely consider coming back. The staff was extremely friendly and helpful, the room was great, the linens were crystal clean, the gym and the turkish bath were a very nice addition. The location of the hotel also was extremely convenient. There were a couple of very minor things such as a couple of dirty spots on the carpet (understandable as it's the winter season) and the safe in my number not working (I was offered to wait in the room for a technician to fix it, but declined since my stay was very short), but they didn't affect my overall impression. My experience exactly matched my expectation. Novotel is a well known international brand, so, staying there you may know what to expect. This was my second time in the Novotel Yekaterinburg and I really can't say enough to recommend the hotel. The room is nice and well appointed, the staff is professional and pleasant, breakfast includes traditional Russian staples and the location is superb. I and my family very satisfied. Thanks a lot! Second stay at the property. Last time was two years ago. Happy to say the service levels are still excellent. Generous breakfast. Central hotel location. Nice size rooms. Helpful staff. My wife and I enjoyed it. Will definitely book again. This hotel is very comfortable for several nights. Thank you so much!!! Just I would like to ask you to add the special items for request from some guests, for example the set for shaving or set for the cleaning the tooths. Its not so expensive but it can be additional advantage for you. Good luck and thanks again.